After 2 long months of in-depth and rigorous study, Analytics India Magazine is out with its annual ranking for ‘Top 10 Analytics Courses in India’. This being the fourth in the row, AIM has always been positively supporting its aspiring data scientists by providing them insights into the world of analytics education. We received 16 nominations for this study of which we have selected the finest, the best, top 10 analytics courses for all our aspiring analytics professionals. The institutes have been ranked on 6 parameters i.e. Course Content, Pedagogy, External Collaborations, Faculty, Brand Value, and Other Attributes like, Placement Assistance, Virtual Labs Events, LMS, etc. Each participating institute has been rated on the scale of 1-5 (where 1 is for Worst and 5 is for Best) for all 6 parameters individually to arrive at an overall ranking. Equal weights were assigned to all parameters for the ranking process. Apart from these parameters, the study also considers student as well expert feedback before arriving at ‘Top 10 Analytics Courses in India’ for the year 2016. Please note, this ranking is for long term analytics programs offered by Universities / B-schools in India. This does not include training institutes for analytics. Great Lakes, one of the leading Business Schools in India, envisions of providing the corporate world with Business-ready Leaders. 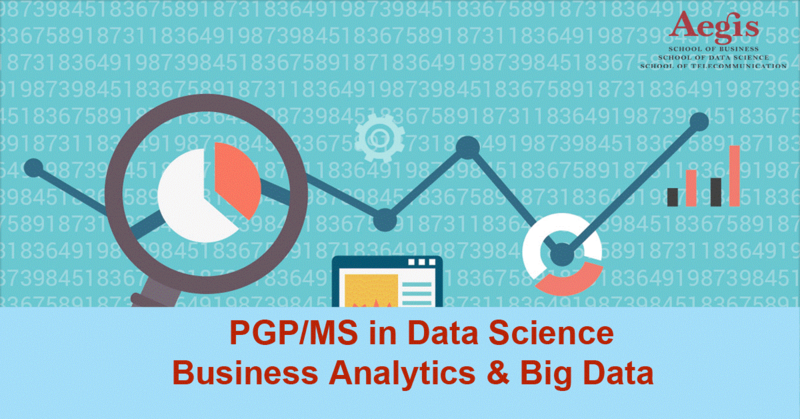 And it was in line with this vision, Great Lakes introduced their Post Graduate Program in Business Analytics (PGP-BA) to bridge the existing talent gap in the analytics industry. They have been among the first few institutes who came up with a program in Analytics. Course Content (Rating 4.9): Great lakes analytics program blends Academic Excellence with Business Relevance to equip its students with skill sets required for managerial, techno-functional roles in Analytics. The curriculum is Industry Relevant which builds on the analytical foundation and industry oriented applications. Pedagogy (Rating 4.8): Great Lakes adopts a Blended Learning Environment (Weekend Classroom + Online) pedagogy to causes minimal disruption to work schedule. The program is designed to transform candidates to business ready analytics professionals through hands on experiential learning. Faculty (Rating 4.8): PGP-BABI being an industry application focused course has a large number of industry experts teaching. Around 50% of the classroom learning hours are delivered by distinguished industry experts. External Collaborations (Rating 4.7): Great Lakes PGP-BABI is internationally recognized by Illinois Institute of Technology, Chicago, USA. Successful participants of the PGP-BABI program get a dual certification – a certificate from IIT, Chicago, USA in addition to the certificate from Great Lakes Institute of Management. Brand Value (Rating 4.7): Founded in 2004, Great Lakes has, within a short span of 12 years, emerged as a top-ranked Business School. Great Lakes has lot of accreditations to its name. In 2014, Great Lakes was accredited by Association of MBAs (AMBA, UK) for its PGPM and PGXPM programs and became the youngest B-School in India to receive this prestigious international accreditation. Other Attributes (Rating 4.8): The end-to-end career support activities are provided at Great Lakes PGPBA. Almost 66% of the PGP-BABI alumni have transitioned to Analytics roles either within their own company or in a new company. Pedagogy (Rating 4.8): IIM B implies multiple ways to make the course more industry specific and practical in nature. Their principal way of teaching is Case-based teaching and lot of practical exercises during the sessions to give a hands-on exposure to participants. Faculty (Rating 4.9): All the faculties at the institute have a PhD showcasing the experience of their faculties. Also numerous Speakers from analytics Industry participate as guest faculty. External Collaborations (Rating 4.6): IIM has external collaborations with SAS, R and Python training consultants, Qlik team for imparting technical knowledge. Also the institute has industry connect with some of the prestigious organization for promoting good Industry-Student connect. 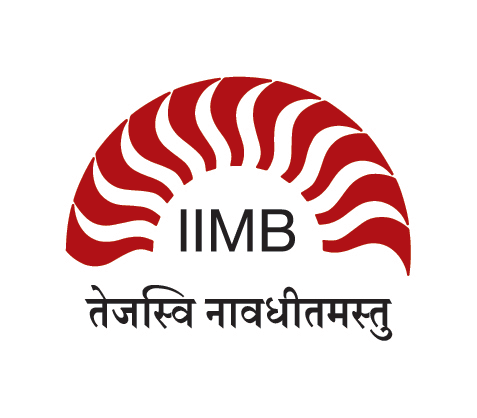 Brand Value (Rating 4.9): IIMB is the only Indian business school to feature among the Top 50 B-schools on the Financial Times Executive Education 2015 Rankings and has recently topped the list of best management institutes in the ‘India Ranking 2016’–the first-ever national ranking of universities by the Government. Other Attributes (Rating 4.5): The institute organizes various events like conferences, workshops, and special classes in the field of analytics. The institute has Data center and analytics lab which gives access to census data and other data sources, and Big data lab for participants to run through larger datasets. 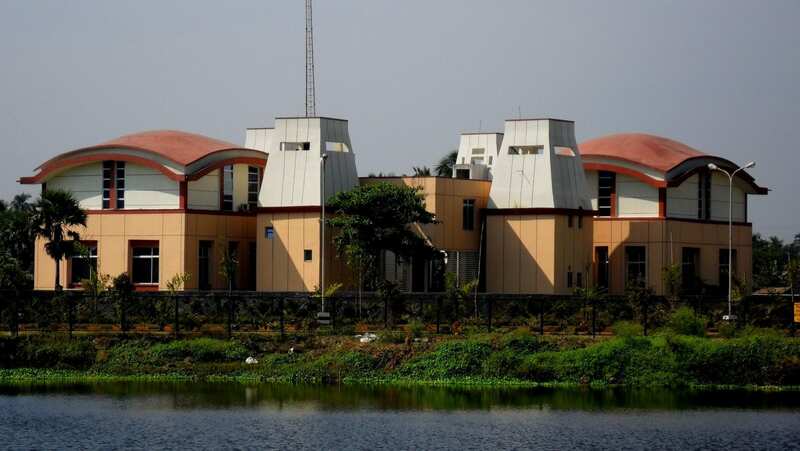 3 institutes – IIM Calcutta, ISI Kolkata, IIT Kharagpur have come together to offer this unique Tri-institute program in analytics. The program is a two year full time residential program and is designed to create Business analysts and Data Scientists with skills in Statistics, Computer Science and Management. Course Content (Rating 4.9): The highlight of the course is that it is a tri-institute program. Each of the three institutes focus on a separate area of business analytics, in accordance with its expertise and competence. Also there is hands-on business analytics training at a related company and continuous interaction with industry leaders throughout the course to make students industry ready. Pedagogy (Rating 4.9): The curriculum across the three institutes is taught with a balanced mixture of theory and praxis. The program leverages the strengths and mutual complementarities of the three institutes. Faculty (Rating 4.8): The students are taught by reputed faculty as well as industry leaders from each of the three institutes. Currently 51 faculties are teaching a batch of 60 students. External Collaborations (Rating 4.5): The program involves interactions with industry leaders from organizations such as Microsoft, Xerox, SAS, American Express, SBI, Deloitte, KPMG, PwC, Flipkart. Brand Value (Rating 4.9): All the three participating institutes are globally renowned institutes. IIT K has bagged the National IP award 2016 for Top Indian Academic institution for Patents. 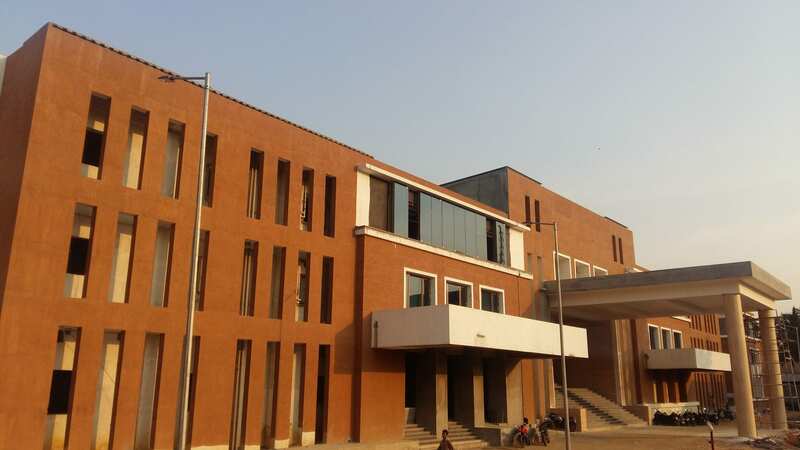 IIM C was the first management institute in India to be credited by AACSB, AMBA and EQUIS. 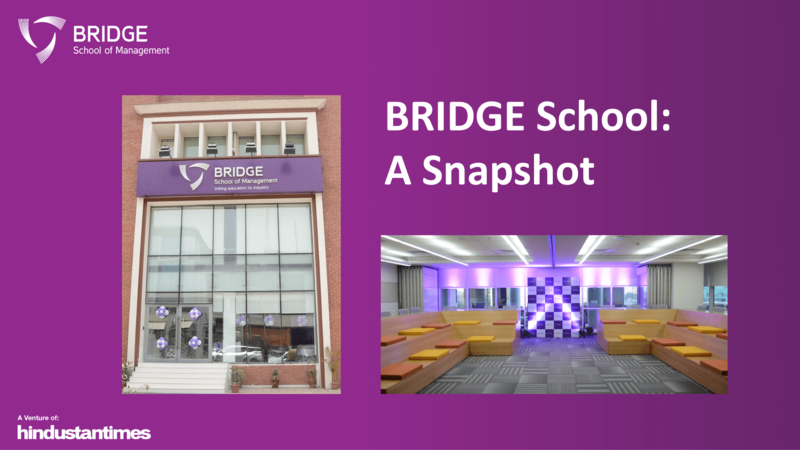 Bridge School of Management is a flagship Business School launched via a joint venture between HT Media Ltd. & Apollo Global, Inc. (USA). Bridge School offers programs in various field including Analytics (Certificate program in Predictive Business Analytics). Course Content (Rating 4.7): The course is jointly offered with Northwestern University, one of the universities with leading Analytics program. Curriculum has been designed jointly by faculties of both institutes using inputs from industry practitioners in the Analytics domain to make student industry-ready. Pedagogy (Rating 4.6): The program is delivered in a blended mode – classroom and Northwestern University Virtual learning Environment – Canvas. Analytics experts from leading organizations bring in industry examples and perspective to the program adding value to the student’s learning curve. Faculty (Rating 4.4): 50% of the Analytics faculty from Northwestern and Bridge School are either PhD or Research Scholars (pursuing PhD). Also analytic industry experts participate in delivering core lectures to the analytic students. External Collaborations (Rating 4.4): Bridge School has an exclusive academic collaboration with Northwestern University School of Professional Studies. Also Bridge School is a Registered Educational Provider for Project Management Institute. Brand Value (Rating 4.6): Backed by India’s media leader HT Media and Global Education group-Apollo Global (USA), BRIDGE School leverages best-in-class knowledge, expertise and technology for an innovative learning environment and industry relevant programs. Jigsaw Academy was founded in 2011 by Gaurav Vohra and Sarita Digumarti to provide quality training in the field of analytics and Big Data. Executive Program in Business Analytics is their flagship course. Course Content (Rating 4.4): The course is a healthy mix of Analytics and Big data. It focuses on live proprietary case studies in Big Data and Analytics to give hand-on experience to students. Pedagogy (Rating 4.5): The pedagogy adopted is to strike a balance between work and study with a blend of online and offline classes. External Collaborations (Rating 4.6): Jigsaw has partnered with IIMB for Big Data analytics course training and content development. Also it offers content for all analytics electives taught at SOIL in addition to teaching for the same. Brand Value (Rating 4.4): Jigsaw has become a preferred choice of students, universities and companies for their data science training requirements. And its alumni base of over 40,000, students worldwide speaks about its brand value in the education industry. Other Attributes (Rating 4.4): Jigsaw provides complete placement assistance and also has virtual labs and LMS facility for its students. 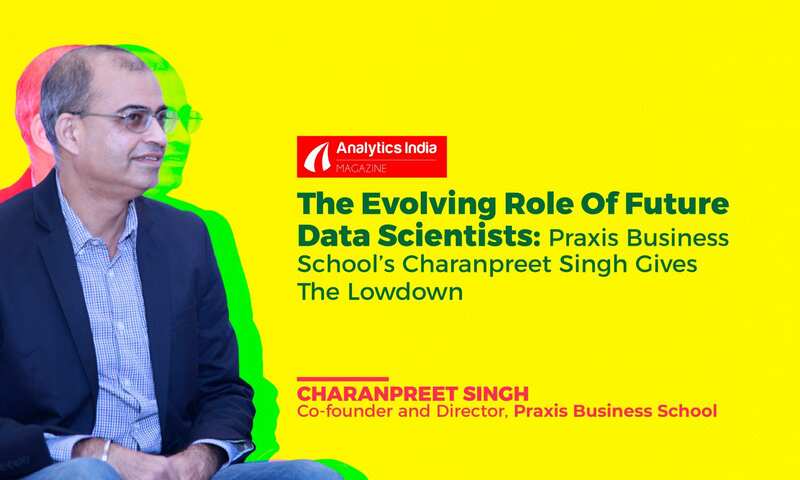 Praxis Business School was early to recognize the need for trained analytics resources and introduced the first one-year full-time analytics program in the country in 2011, their flagship course being PGP in Business Analytics. Course Content (Rating 4.6): The Course aims at equipping students with the tools, techniques and skills to enable a seamless absorption into the domain of Analytics and grow into the roles of Data Scientists. The program is co-created and co-delivered with Knowledge Support from PwC and ICICI Bank. Pedagogy (Rating 4.5): Praxis adopts a pedagogy which his practical in nature. Students during the course are exposed to a set of near real world projects. Faculty use data available from Kaggle competitions to create assignments for students and their solutions are benchmarked against global leaderboards. Faculty (Rating 4.5): 65% of the faculty members teaching analytics subjects are associated with Analytics organizations . Also guest faculty from Praxis knowledge partners, namely ICICI Bank and PwC are part of the teaching process. External Collaborations (Rating 4.3): Praxis has quite a few external collaborations 9PWC, ICICI Bank, Abzooba Inc, Ericsson Global Services, IBM Watson Labs, Modelytics) with industry professional to deliver certain special analytics classes during the course. Brand Value (Rating 4.2): Praxis Business School has been the pioneer in bringing in full time education program in the field of analytics. And the program has received overwhelming response from the students and the industry. It initiation has now been followed by several institutes launching program in analytics. Other Attributes (Rating 4.5): Praxis has a formal placement process to generate quality opportunities for internships followed by final placements. Course Content (Rating 4.2): Aegis’s analytics program in association with IBM is designed with the help of leading Data Scientists to meet the Data Scientist’s skills and competencies framework. A wide range of core and elective courses are offered to provide freedom to participants to design the program suiting to their and industry needs. Pedagogy (Rating 4.5): Aegis focuses on making its students industry-ready and this is reflective in their pedagogy. The institute brings together the current software content, real-world industry experiences and hands on exposure to give the participants a practical exposure in the field of analytics. Faculty (Rating 4.3): This program is delivered by Data Scientist engaged in real-life Data Science and Big Data Analytics projects from around the world with 45% of faculties having a PhD. External Collaborations (Rating 4.5): Aegis has collaborated with IBM to offer high end courses in the field of Data Science, Business Analytics, Big Data, Cloud Computing and Mobility. MTNL, a leading Govt. of Indian telecom service provider, is Aegis’ Infrastructure partner in Mumbai. Brand Value (Rating 4.3): The focus of Aegis is on technology and analytics is a perfect extension to it. Aegis offers various programs in 25 countries to top executives speaking high of its brand value. Other Attributes (Rating 4.7): Career Management Center (CMC) at Aegis facilitates all students’ paid internship and final placements. Also Aegis and IBM have set up an IBM Business Analytics and IBM Cloud Computing Lab to help students and faculty members enhance their analytic skills. Incepted in 2009, NMIMS Bangalore, is active in the area of Executive education and runs General Management and Analytics program (Certificate Program in Business Analytics) focused on working professionals. 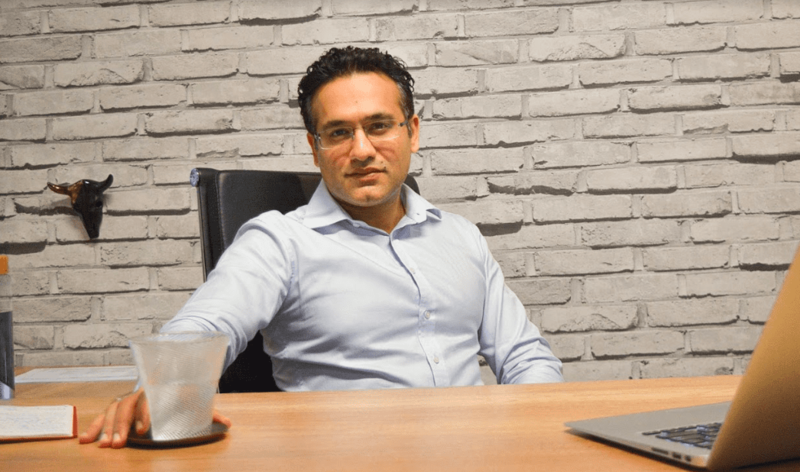 Course Content (Rating 4.2): The course content aims at preparing working executives for a career in Analytics by training them on basic, advanced and application focused courses. The curriculum design and program structure is prepared in consultation with Analytic Board of Governors,a body consisting of eminent professionals from industry. Pedagogy (Rating 4.4): The courses are delivered through lectures, case discussion, lab sessions, assignments, group tasks and projects. The participants are evaluated through home assignments, projects and exams. Faculty (Rating 4.5): Faculty for the program consists of permanent and visiting faculty members with 60% having PhD. Visiting faculty members are Analytics professionals from various organizations. 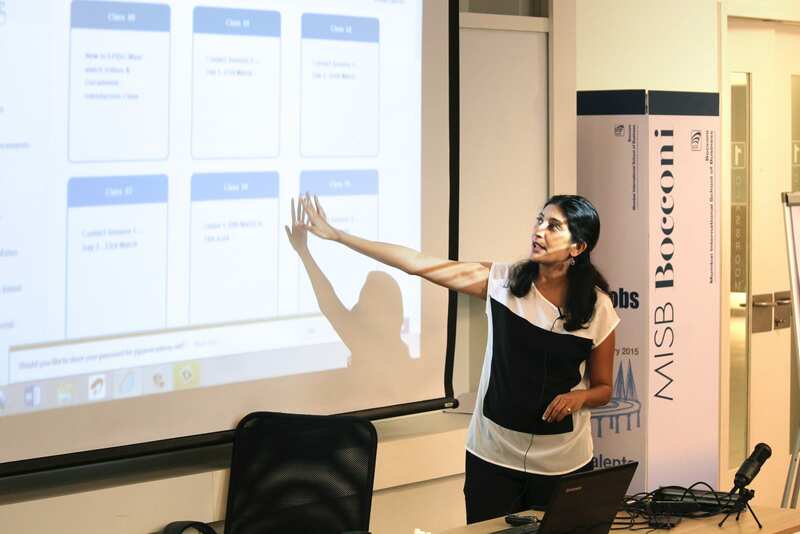 External Collaborations (Rating 4.5): NMIMS Bangalore has collaboration with SAS Institute for providing SAS tools and conducting Workshops in various areas of Analytics. Brand Value (Rating 4.6): Eduniversal has ranked NMIMS Bengaluru as 14th in General Management in Central Asia, which is a testimony to the continuous progress that NMIMS Bangalore has made in a short span of time. NHRD also ranked NMIMS Bengaluru amongst the top 5 emerging business schools for 2015. Other Attributes (Rating 3.9): The institute has a full-fledged placement department consisting of a placement director and 5 staff members to assist students. UpGrad, founded by media stalwart Ronnie Screwvala, is an online higher education platform providing industry relevant programs. 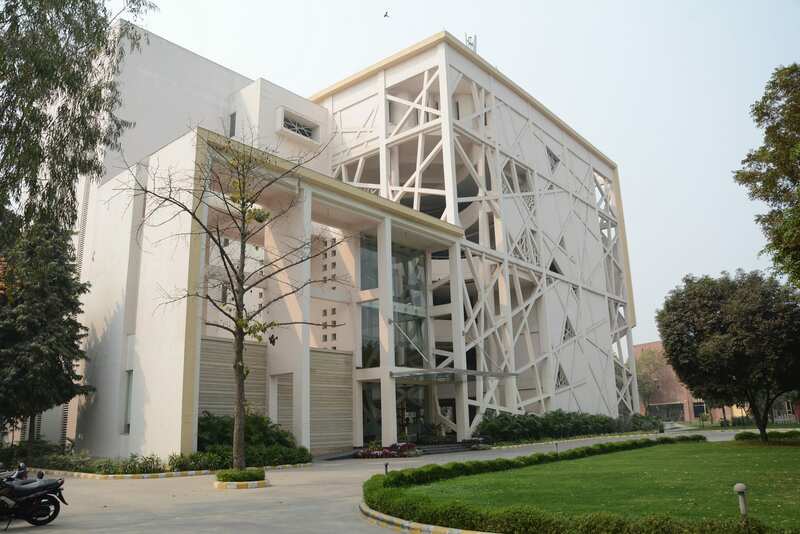 The International Institute of Information Technology, Bangalore focuses on education and research in IT. Course Content (Rating 4.0): UpGrad and IIIT-Bangalore have collaborated to develop this online 11-month Program in Data Analytics. The program offers the right blend of statistics, technical and business knowledge to ensure that participants learn exactly what the employers need. Pedagogy (Rating 4.1): The teaching style adopted is case-led, wherein faculty and industry experts use a series of industry relevant examples to teach complex analytics concepts. Faculty (Rating 4.2): IIIT-Bangalore and UpGrad faculty are majorly from the analytics domain with 67% having a Phd. Also industry experts are involved in designing and executing the program as they bring in industry perspective. External Collaborations (Rating 4.0): The program has established flagship partnerships with Analytics Leaders like Uber, Genpact, and Gramener. Further, the program has been built in collaboration with 30+ Analytics industry experts from leading corporations. Brand Value (Rating 4.2): UpGrad’s brand value is reflective in its partnership with 50+ companies like Star TV, Disney, Google, Microsoft, to develop program content and provide mentorship to students. 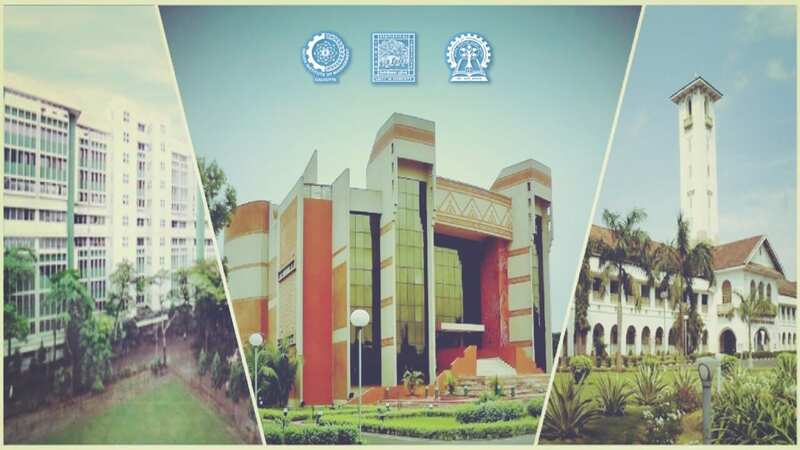 IIIT-B, with its model of education, and industry interaction, has grown in stature over time to become an institution of considerable repute in academic as well as corporate circles. Other Attributes (Rating 4.0): UpGrad and IIIT-Bangalore will be providing placement assistance. A Virtual Cluster for the Big Data course is set up for participants. IMT Ghaziabad is a fully autonomous university and offers several post graduate, doctorate and executive education programmes in management. Course Content (Rating 3.8): The course gives you a blend of industry knowledge, concepts and experiential learning through collaborative teaching by industry experts. Pedagogy (Rating 3.9): The pedagogy will be a mix of lectures, experience sharing, real life case discussion, assignments and industry/research based projects. The course is focused on strategic issues with cases as the primary vehicle for learning. Faculty (Rating 3.7): Faculties include a mix of in-house and industry exports with 98% of in-house faculties having PhD. External Collaborations (Rating 4.0): IMT has many industry associations and international collaborations. IMT has 50+ International collaborations towards various academic modules co-teaching and joint learning. Brand Value (Rating 4.3): IMT Ghaziabad is an institute that has been there for long and is recognized for the courses its offers and for the quality of students that come out of the institute to build their names in industry. Other Attributes (Rating 3.9): Students opting for this course are provided with placement support. ICDM, a data management conference is organized by the institute. can you please review about data analytics course of digital vidya? Course content of BAI programme of IIM – B lacks basic common sense. If this programme is ranked second then only God can save analytics in India.